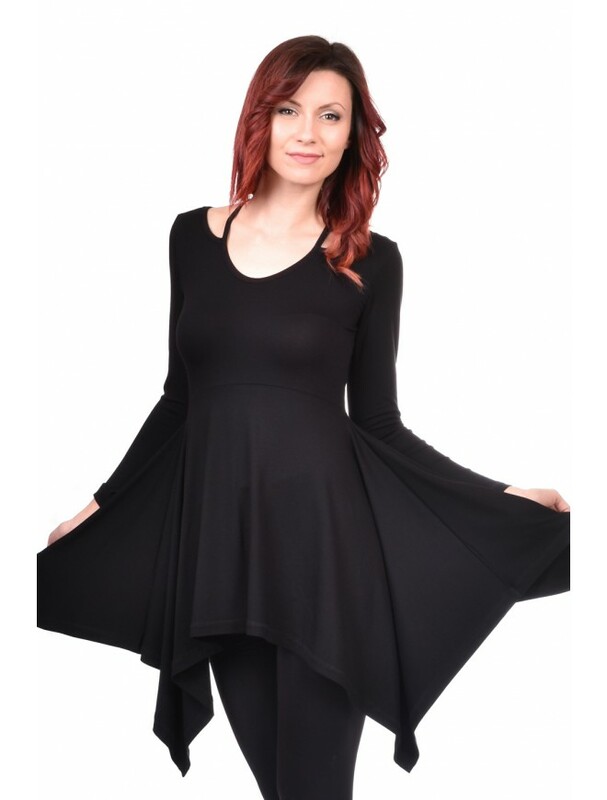 Flared tunic, made of black jersey fabric, with stamp on the front. 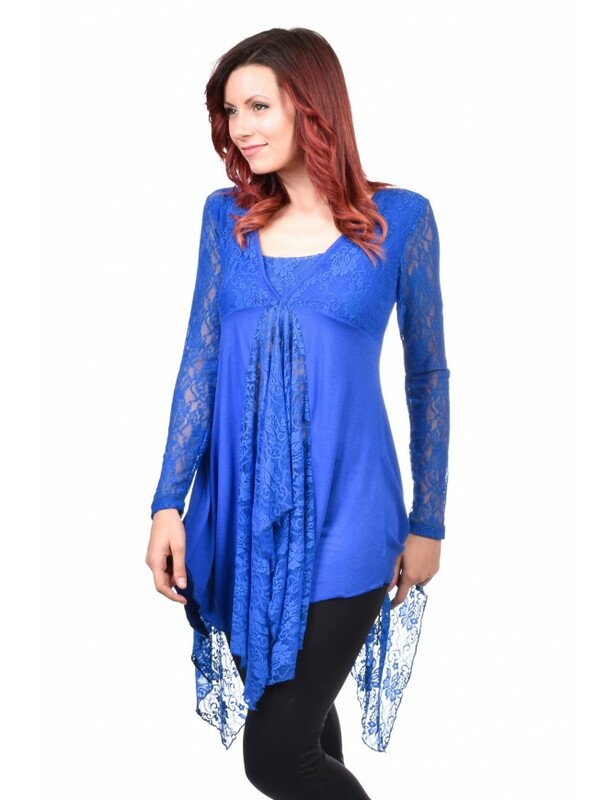 The tunic falls freely around the silhouette. 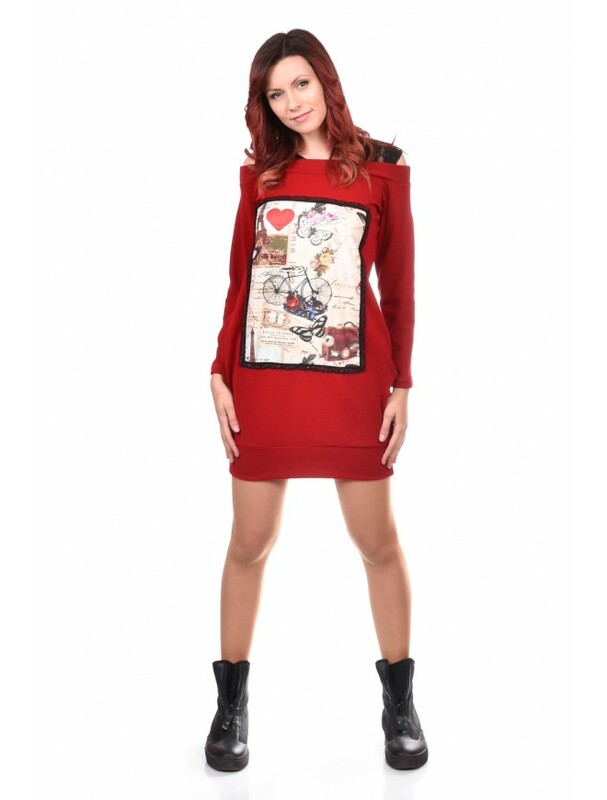 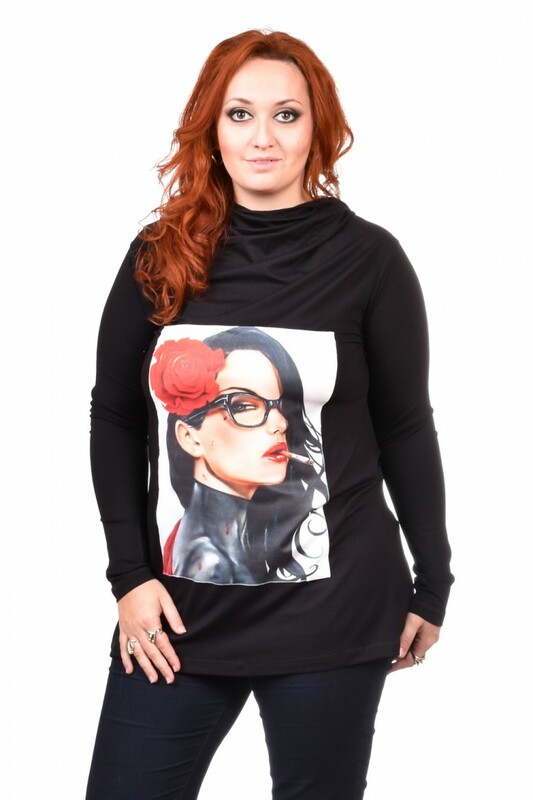 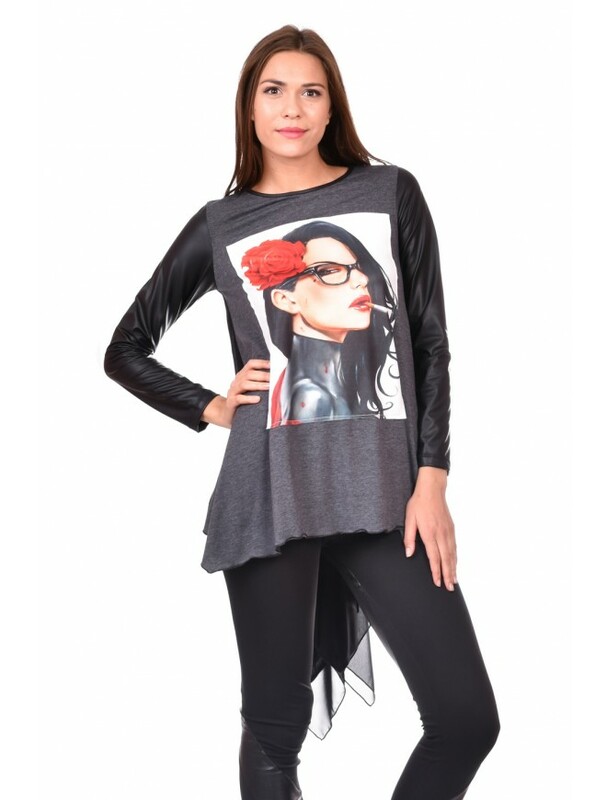 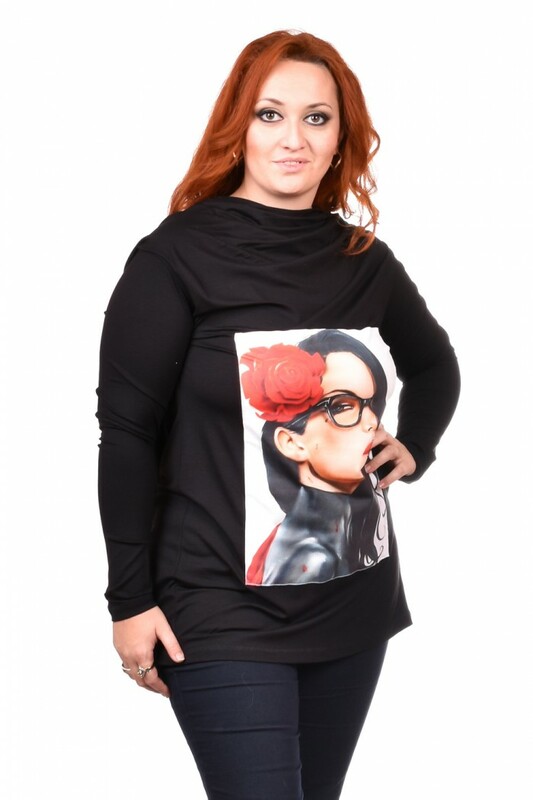 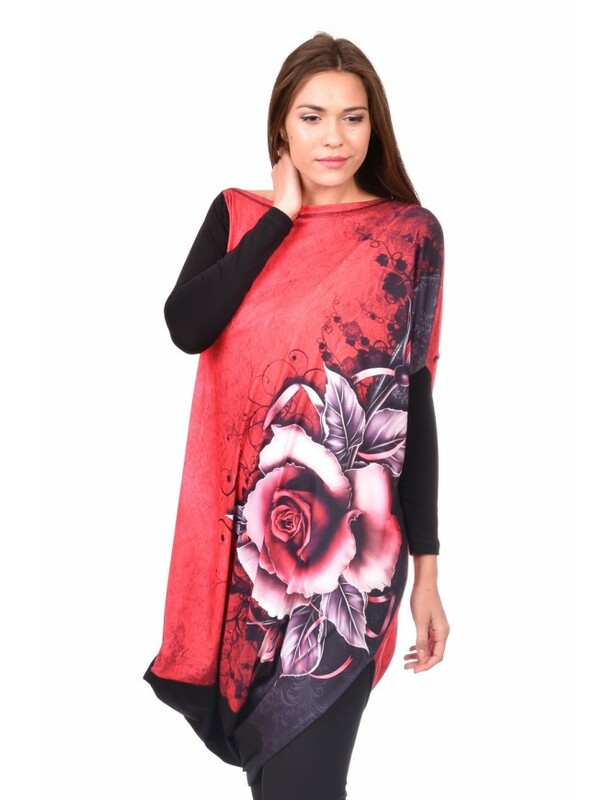 The model is with long sleeves. 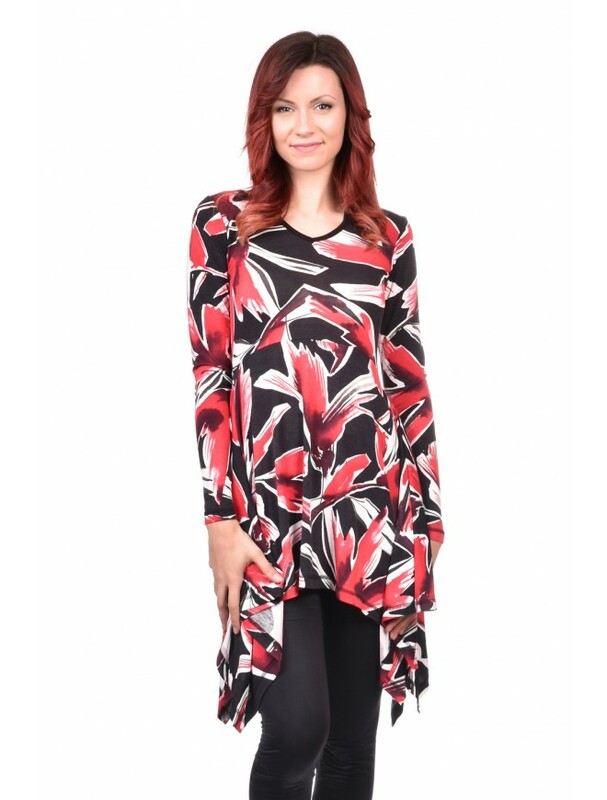 The tunic looks amazing on every type of body.